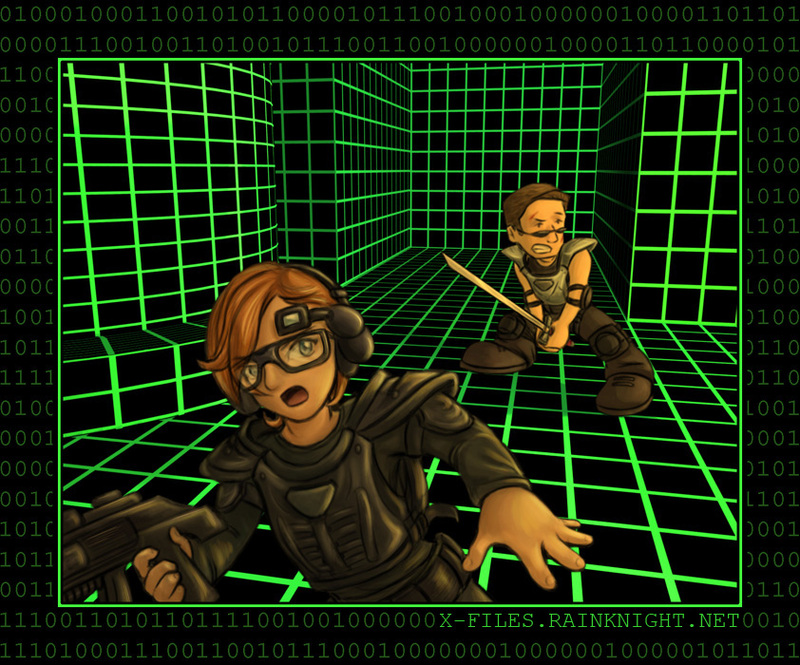 Guys, I really hate First Person Shooter. Like, it’s one of the only episodes that actually makes me angry. I find it offensive as a game developer, a woman, and an X-Phile. That said, I’m still amused by their ridiculous game outfits and had way too much fun drawing this picture back in the day. 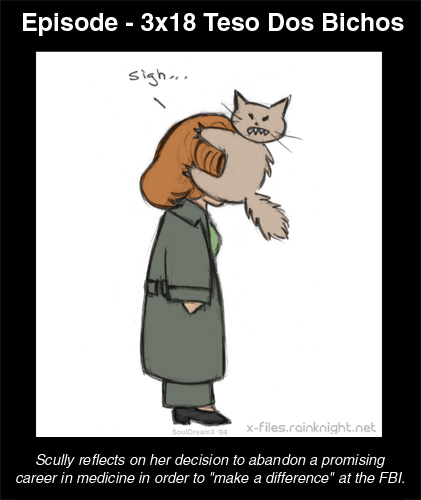 Moral of the story: This episode is awful, but Scully is a badass, and Mulder has nice arms. Yeah, I was on a really big FTF kick back in 2004. I love the lighting in this scene. Another old piece from back in 2004. 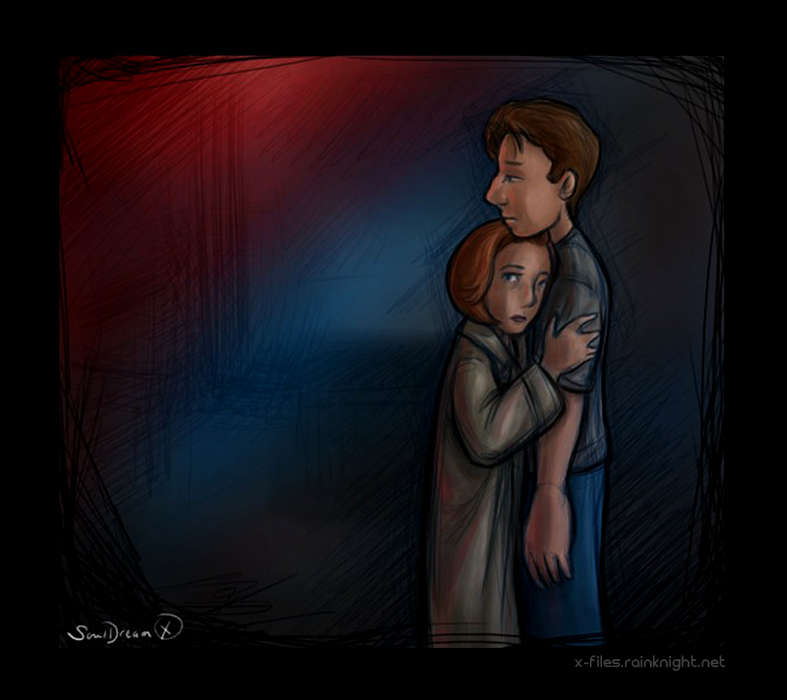 Quick sketch of the scene from “The End” where Mulder and Scully look over the charred remains of the X-Files office. I overheard a conversation the other day where someone was asking “What does ‘spoopy’ mean?” The response was, “It’s like ‘spooky,’ but cute.” This was the only thing that I could think of after that. 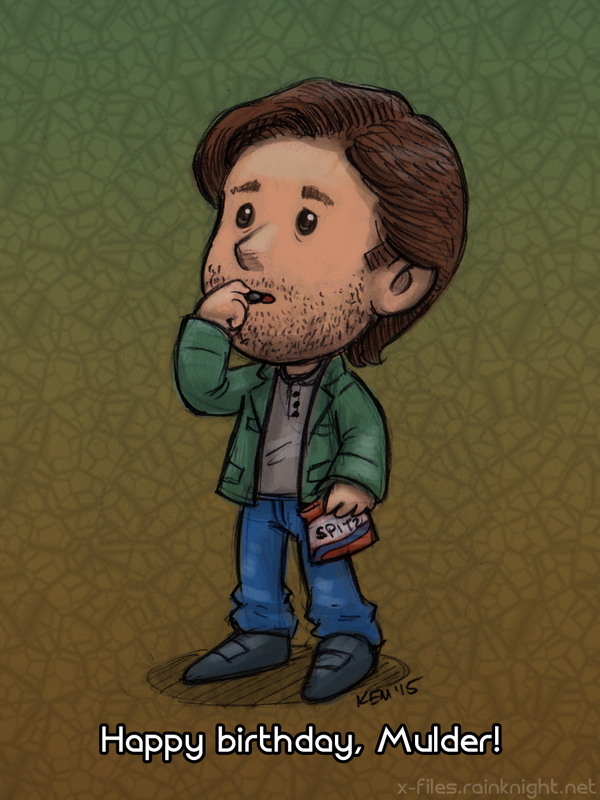 Happy 54th birthday, Mulder. Have some sunflower seeds. Happy NYCC premiere day! Now I just have to figure out how to avoid spoilers for the next three and a half months! 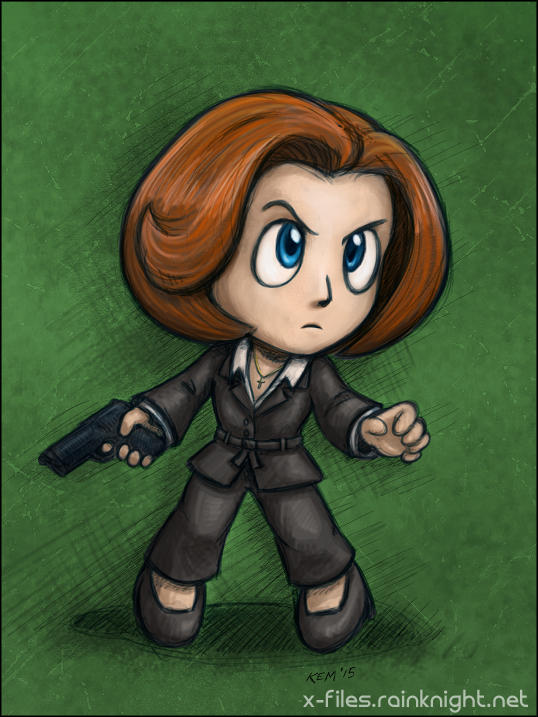 Anyway, I just finished off Season 4 in my rewatch and felt the need to draw a tiny badass Scully. How one so tiny can be so completely badass should be an inspiration to us all. Another sketch I did back in 2004 but never posted anywhere… until now! This was originally going to be part of a larger kind of collage-like picture for this episode, but I didn’t like the way the rest of it was coming out, so I ended up scrapping it. I always did like this section, though, so I decided to crop it out and let it stand on its own. I’ve always been interested in the Mulder family dynamics. They were definitely dysfunctional, especially leading up to and following Samantha’s abduction–hell, probably from the beginning considering that at least one, if not both, of the Mulder children were the result of an affair. Until Bill had to make that fateful choice, though, they seemed like they probably held it together pretty well, and then after that, things just completely fell apart. Bill grew distant, Teena repressed. Meanwhile, Fox Mulder, suddenly an only child, was just entering adolescence. 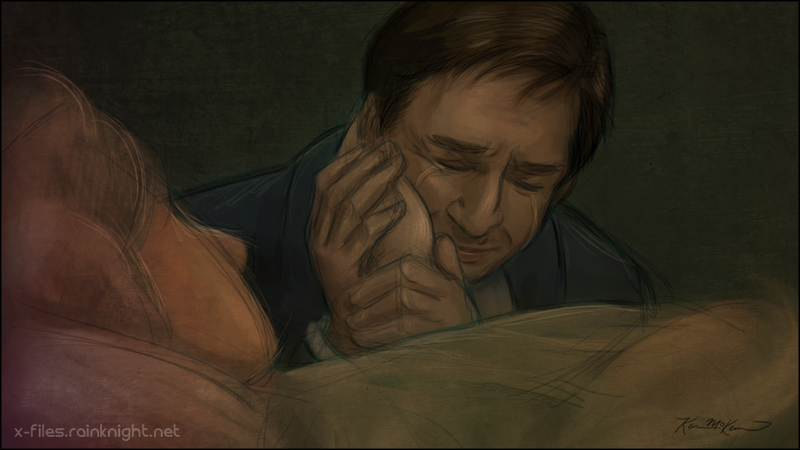 In his adult life, Mulder definitely seems closer to his mom than his dad, and one can guess that she probably had primary custody when she and Bill divorced. Around his father, Mulder seems as though he is bracing himself for a lecture, scorn, or disapproval. He seems more affectionate around his mother (pre-Demons, anyway), and one might imagine they needed to support each other after Samantha’s disappearance, though his tendencies toward obsession and hers toward repression probably prevented them from being as close as they could have been. 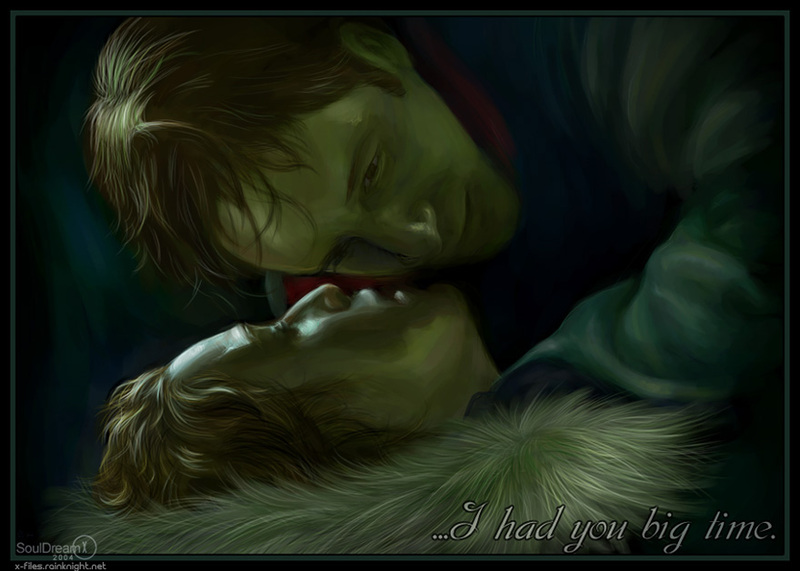 Still, Mulder is generally shown as being gentle and caring around his mom (at least until he starts asking questions that she doesn’t want to answer). But it’s clear that he cares very much for her and wants to protect her, especially when she’s the only family member he has left. Fan art I did about 11 years ago, but it’s still one of my favorites. 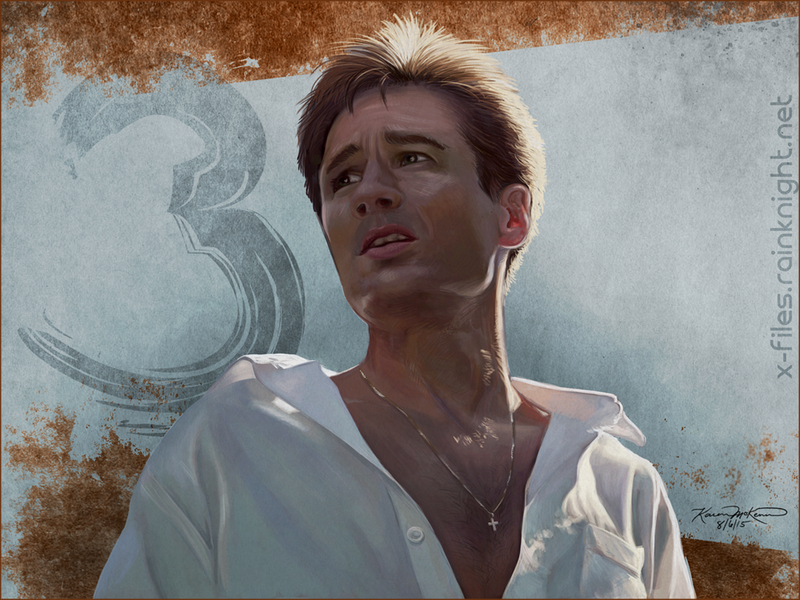 As far as I’m concerned, 3 is just the episode where Mulder runs around with his shirt hanging open while wearing Scully’s cross. 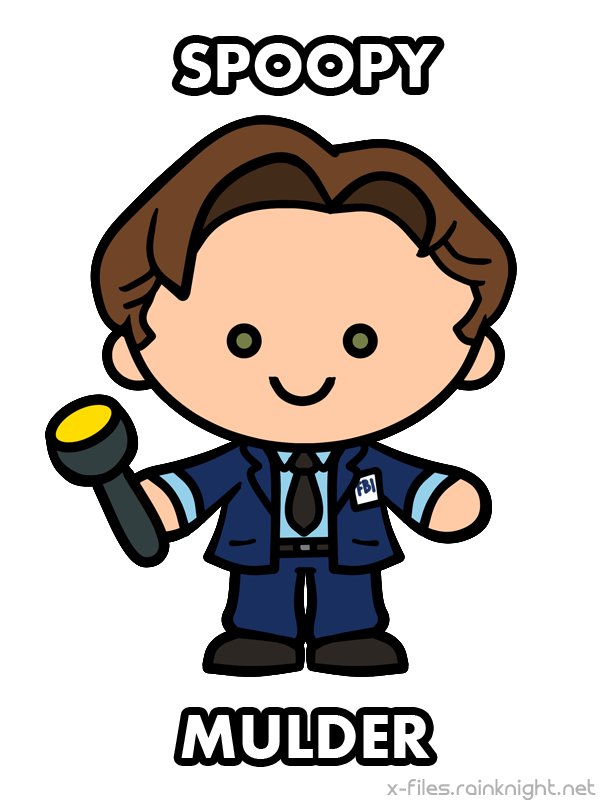 No, not that Doctor, but who are we kidding, Scully will always be my Doctor. One thing I liked about I Want to Believe was seeing Scully in her new role as a doctor at Our Lady of Sorrows Hospital. It’s the life she had originally set out for before deciding to join the FBI, and a life she had sometimes pondered over the course of the series. But in practice, we see her viewed as a bit of an outcast at the conservative Catholic hospital, where her decision to use stem cell therapy to treat a seriously ill child is looked down upon by her colleagues and the boy’s parents. 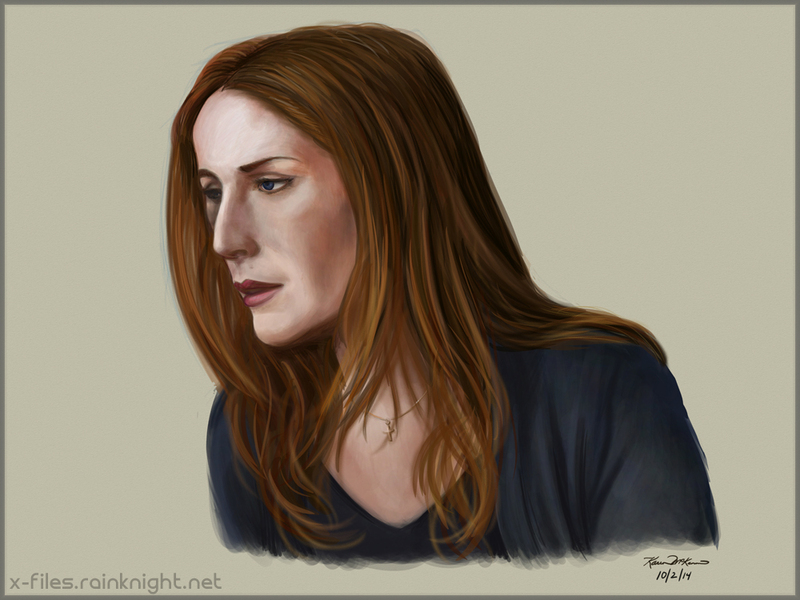 It kind of parallels Mulder’s reputation at the FBI, only it’s her science rather than supernatural beliefs that put her at odds with her religious peers. Brilliant and successful, but never quite fitting in.